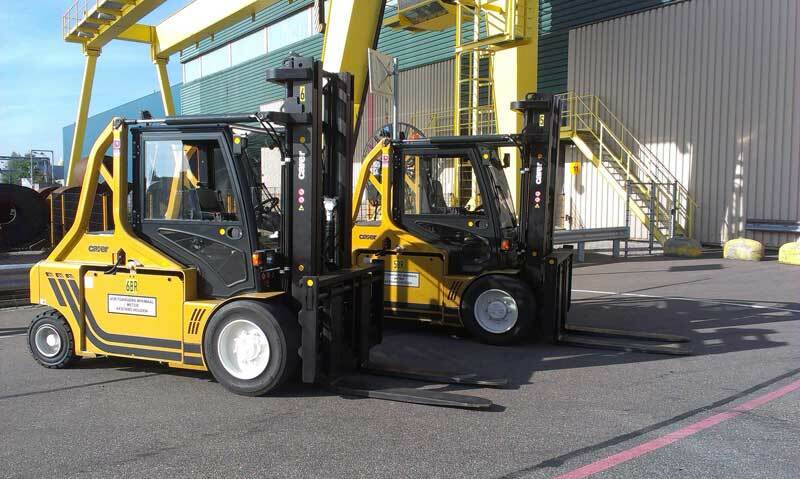 The heavy duty lift trucks in our KF60-80 HD series are specifically developed and designed to handle heavy loads inside the standard containers. 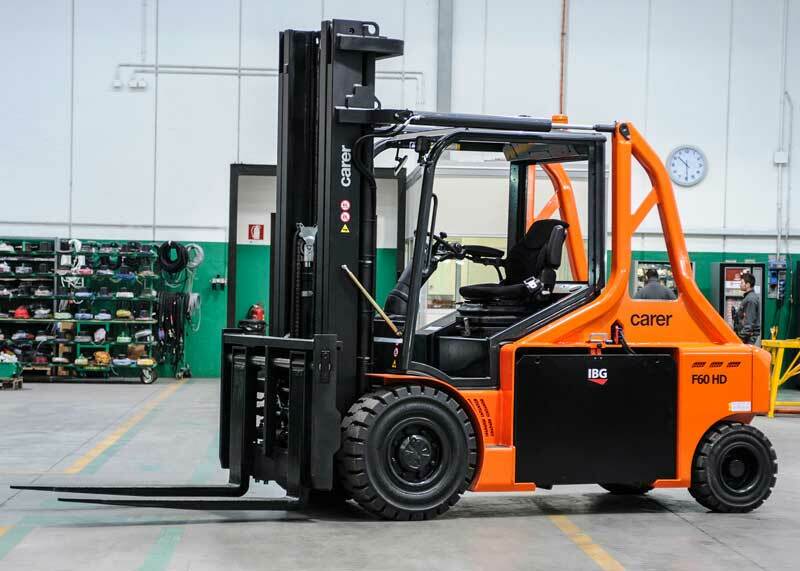 Thanks to the super steer axle, the electronic differential, the noticeable compact design of these heavy duty lift trucks and maximum comfort of the driver’s seat, the KF60-80 HD is the right forklift truck for particularly heavy duty applications, even in confined spaces. 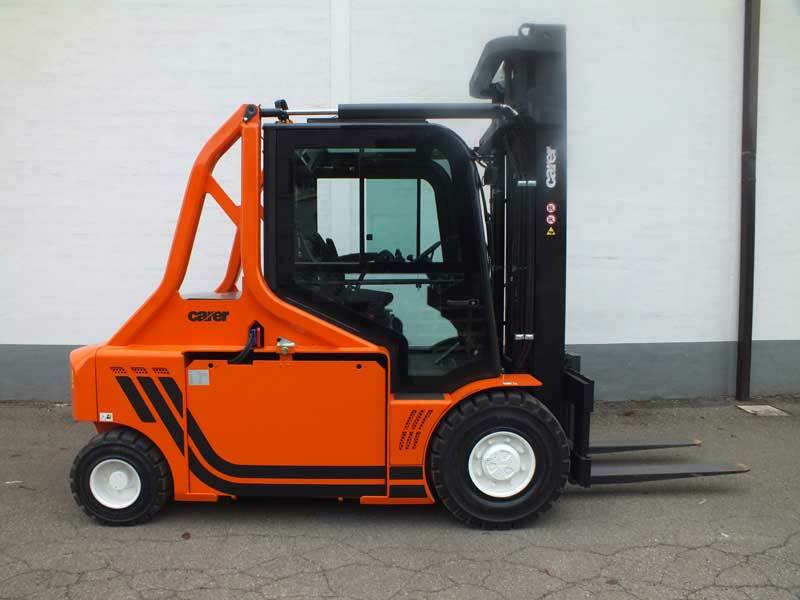 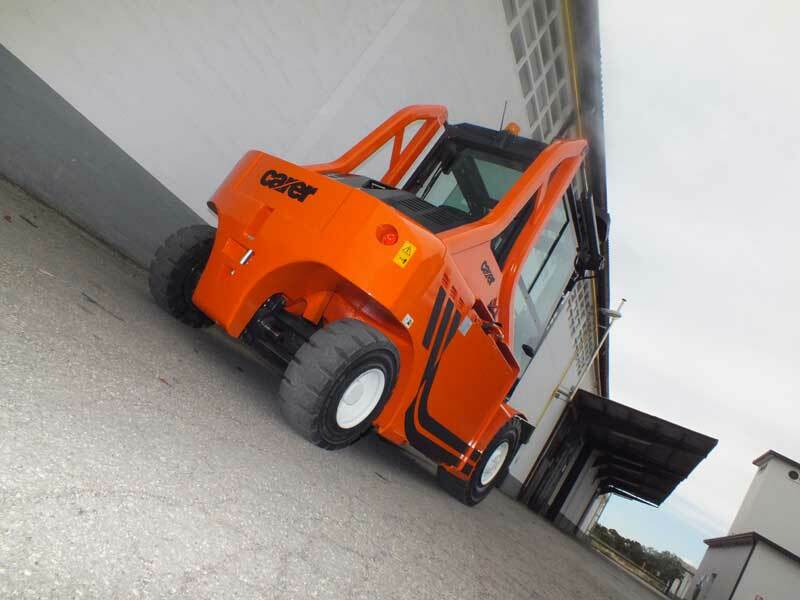 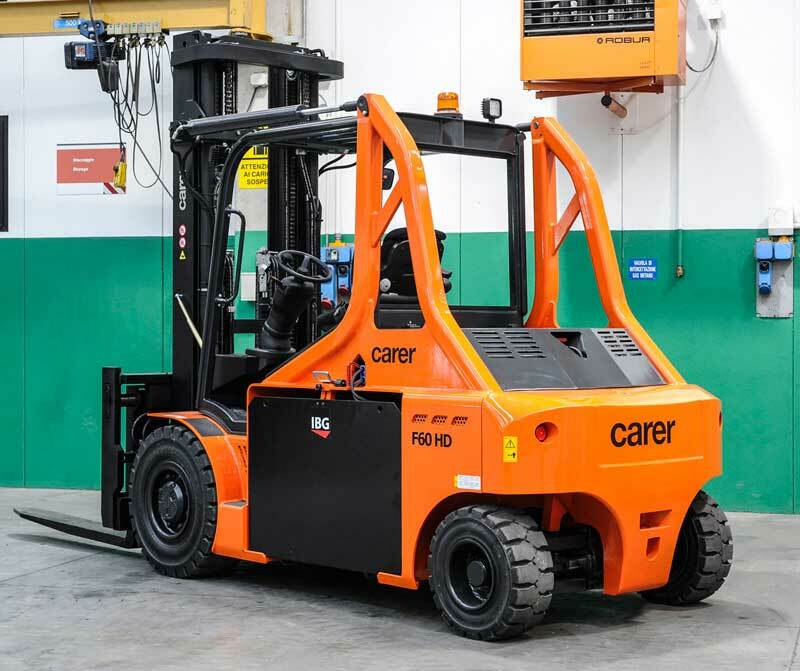 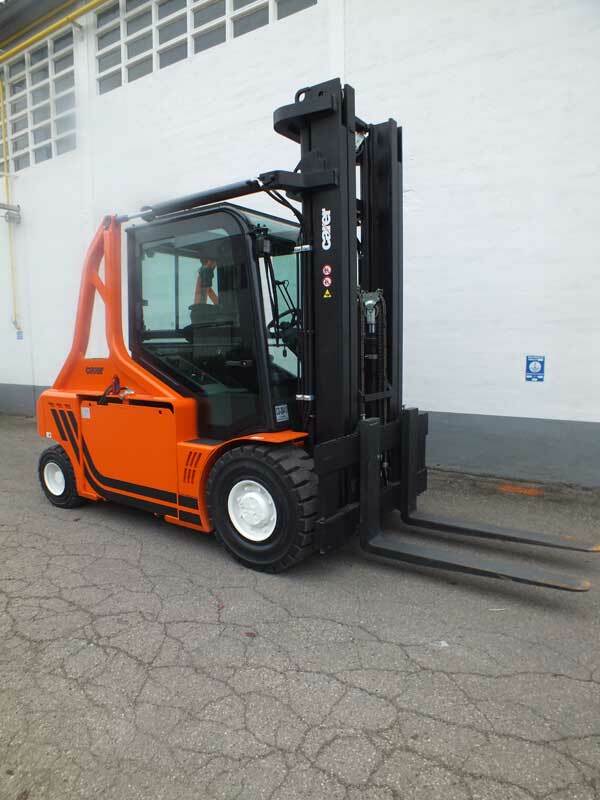 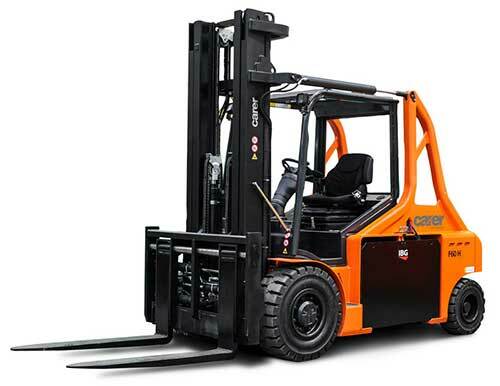 Fitted with two 20 kW traction motors and a 45 kW AC hoist motor, this forklift truck can reach a speed of 11.18 mph in traction mode and 1.57 f/s in hoisting mode. 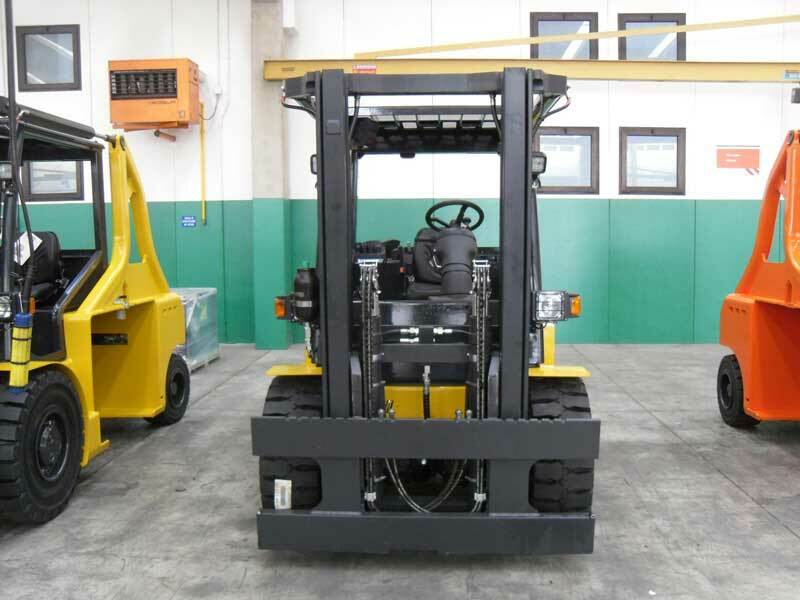 The position of the battery, between the wheels, allows for a quick and easy lateral extraction, which means it is much easier to change the battery. 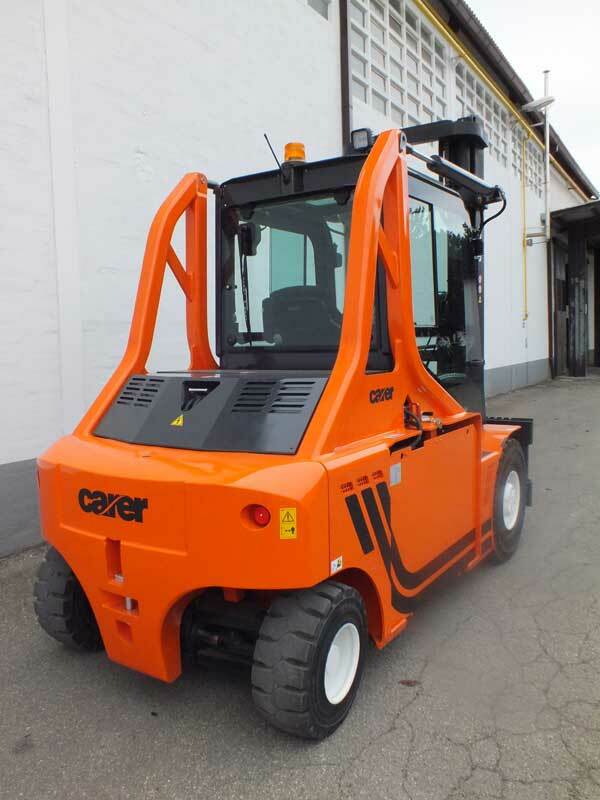 The specific design that makes the equipment extremely compact, the super steer axle for extreme maneuverability and high performance of the motors make the forklift trucks suitable for heavy-duty applications with high performance levels and long production cycles. 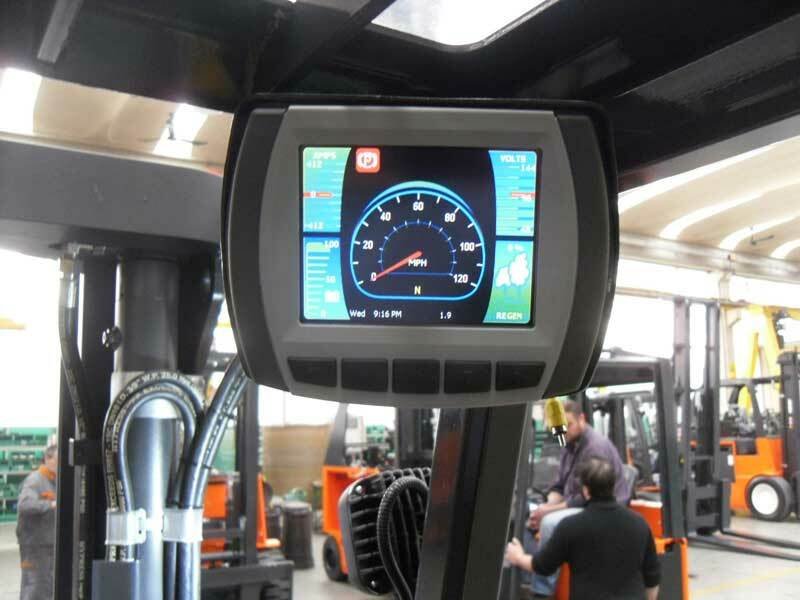 The option of adjusting the parameters of the electronic system with an advanced multi-function display means the forklift truck settings can be customized according to operator applications and routines by achieving a balance between high performance or long operating time.